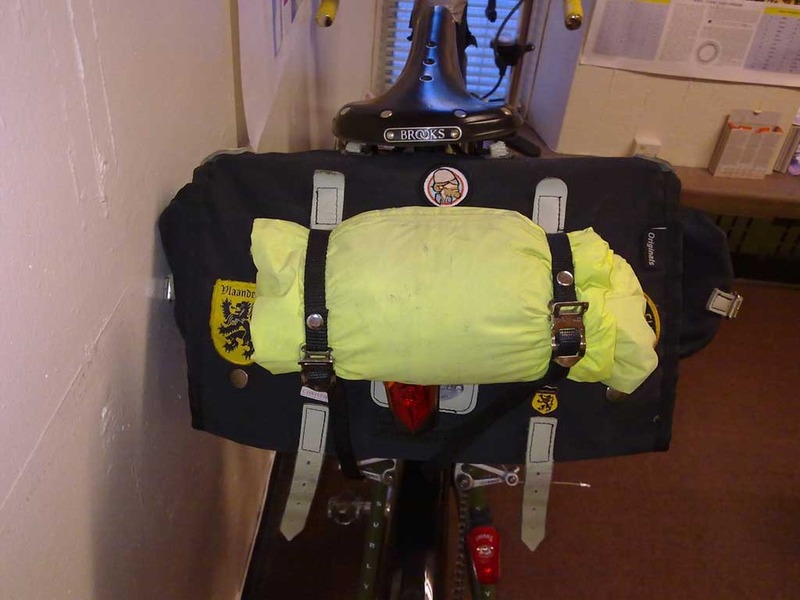 I wrote a little while ago about my Yehuda Moon and the Kickstand Cyclery patch. Finally got around to sewing it on to my Carradice last night – it’s not central, and that will bug me, I think, but surely Yehuda’s natural home is on a Carradice bag. Did I sew it on myself? No, I sewed it on to the bag, like I said.